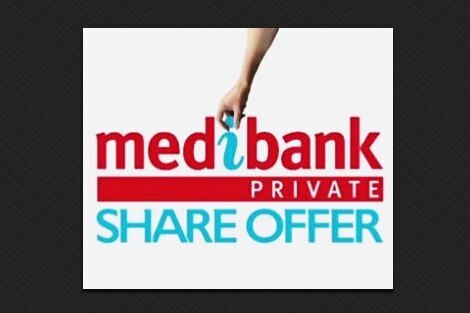 There has been a rush to purchase shares in Medibank Private since the Federal Government’s sale offer opened last Tuesday. Just two days later, the broker allocation was already eight times over-subscribed. The popularity of the share float is not surprising, as past sales of government owned corporations such as Telstra have produced windfall profits for cashed up Australians able to invest. The sales are also hugely profitable for the Government, which in the case of Medibank Private expects to raise more than $4 billion. Win-win, it would seem, at least for those who can afford to participate. But there’s an important question that needs to be asked, which is whether Medibank Private is the Government’s to sell. In other words, what are the rights of the policy holders who consider themselves members with equity in the company? There is a view that the government merely provided $10 million seed funding for the establishment of Medibank Private, as a member equity owned entity, and that that fund allocation has since been returned to the government many times over. Ray Williams, the public servant who created Medibank Private, says the plan to sell the business and keep the profits is tantamount to theft. If member ownership was to be established, possibly by a High Court judgment, the policy holders would receive an allocation of shares, as has been the case with other entities that have been owned co-operatively. Examples including the demutualisation of NRMA Insurance in 2000. The New Daily online publication has been campaigning to establish the fact of Medibank Private’s policy holder ownership. It has published communications to policy holders in the 1990s demonstrating an understanding that ownership entitlements were among the benefits of remaining in the fund. One policy holder considering leaving was told: ‘We would be very sorry to see you lose the equity you have built up with the fund.’ New Daily published the ‘smoking gun’ letter. John Menadue, who has been covering the issue in his blog, says the balance sheets of Medibank Private before 1997 clearly show that the members, and not the government, owned the assets of the company. He points out that the Howard Government changed the accounting treatment of Medibank Private 1997 in an attempt to establish government ownership by stealth. The New Daily reports that at least 60 members have lodged complaints with the Australian Competition and Consumer Commission demanding an investigation into statements made to them by federal governments before 1998 that they were the owners of the health fund’s assets. There is also documentation and a petition at change.org. Aside from The New Daily and John Menadue, there has been little media coverage or public discussion of the issue. That’s surprising, because generally the media take any opportunity to embarrass the government. It could be that many of us are conflicted because we want to buy as many shares as we can in Medibank Private to get a share of the windfall. Whatever the explanation, the question of justice to the fund members is less important than that of the inequity of the entire system of private health insurance. Those who cannot afford the premiums receive inferior health care, and the government’s increasing reliance on public health insurance, and continued subsidies to those who can pay, undermine Medicare, the system of universal health care that does not exclude the poor. Hi Michael, Thanks for reporting on the members issues re Medibank. Point of clarification on my 'membership' of Medibank. My membership card is just that a 'Membership card' with a member number -I am a member , not a 'policy holder' (para3). Our family, and arguably many others, stayed with Medibank because we believe in fair access to medical help and because Medibank mark 2 was set up as a mutual fund. The current value of Medibank is due to Members who have been loyal; the government should be loyal in turn to the members. I am astounded by the silence with respect to this matter. I transferred from another fund because the organisation was sold to me as being the property of members and run for the benefit of the members. This is the claim of many and is demonstrated by documentation for the period and by statements of those involver. Sadly, after all these years I no longer have the communication documents sent to ne. It would appear that the government hopes that the matter will just go away. Please don't let this happen. I am a former Medibank Private member who was told years ago we where part of a company and our membership gave us rights in that company, off course the Government now takes dividends from Medibank Private having legislated that a few years ago. Members should be given shares just like NIB did when it listed on the Stock Exchange. The logic: I start a business with $10,000 and it grows to be worth much more than that. But I can't now sell it and pocket the profits because the loyal customers own it and not me. Medibank Private is not a mutual and from what I can tell it never has been. I have been a member since it started. My premiums have been for health insurance, not a little nest egg. The government has every right to withdraw its equity and retained earnings. This money can then be spent on other projects which benefit society. I have Medibank Private Extra Cover (for teeth). The only private medical insurance I have. Watch the premiums rise to satisfy shareholders. Re- JB's comment. All praise to Eureka Street for publishing it, even though it flies in the face what The New Daily and John Menadue (a former head of PM&C who knows intimately how government works) have written. With regard to the comparison JB makes to a private entrepreneur I can only say 'I deny the parity'. John Menadue's blog makes perfectly clear why this is so. As to why there has only been muted protest I can only guess that many 'Mum & Dad investors' see the float of Medibank Private as opportunity to get on the Health Care Insurance gravy train. I didn't realise that the Howard government changed the accounting treatment of Medibank private in an attempt to establish government ownership by stealth. The scar that John Winston Howard represents across the face of this country is even uglier that I thought. Thanks Michael. I suspect the horse has bolted on the ownership question, but you are exactly right in your last paragraph in that the real issue is health coverage and its inequity. Like so much in Australian governance it is a "dog`s breakfast" to quote Abbott. We have two sources of health insurance: one provided through taxation and one provided by a private and subsidised (to the richer only!) insurance system. But we also have to pay overall 30% of total expenditure out-of-pocket, which is much higher than almost anywhere else in OECD and frankly a disgrace. Thus, everyone is under-insured by definition, but especially those without private cover, though those with private cover have a large degree of wasteful duplication. And so we are paying too much for private care (especially when nonsense out of pockets are included). What we need is an unified system, but with multiply providers: the Government through tax providing acute and catastrophic care ( acute illness, accidents/trauma/burns and probably cancer care), and private insurers providing packages for everything else. Private insurance becomes compulsory with the government paying or contributing for the poorer citizens (i.e. subsidy going to the least well-off rather than the richest!). The insurance companies then act as agents contracting for best care and with no or minimal out-of-pockets. There will be losers but mainly the very rich surgeons who currently are raking it in, literally in millions a year, in a non-regulated and exploitative non-system. Surely any government owned/instituted/controlled entity is the public's property. And thus not available to be sold unless with the "owners'" agreement. The same with the Telstra debacle, but especially Medibank. And if it is sold, the "owners" should get a share of the return. But the real issue is one of business economics; "Why sell an entity which is profitable?" Is it just to give a free kick to the relatively wealthy? Underhanded theft by the government will not go unpunished. The media puppets must be gaining financially. Blind freddy can see the theft. The name Mathias Cormann makes me sick. In the end i Trust that most of us victims just switch funds. The media has reported that Swedish furniture company IKEA's Australian arm has earned an estimated $1 billion in profits since 2003, almost all of which has been exported tax-free. Action to crack down on tax avoidance is on the agenda of next week's G20 in Brisbane, but it remains to be seen if the interests of developing countries will be looked after.